I love the Walker Family and have had the privilege to photograph them for several years now and seeing these beautiful children grow up! My-oh-my how the times flies by! 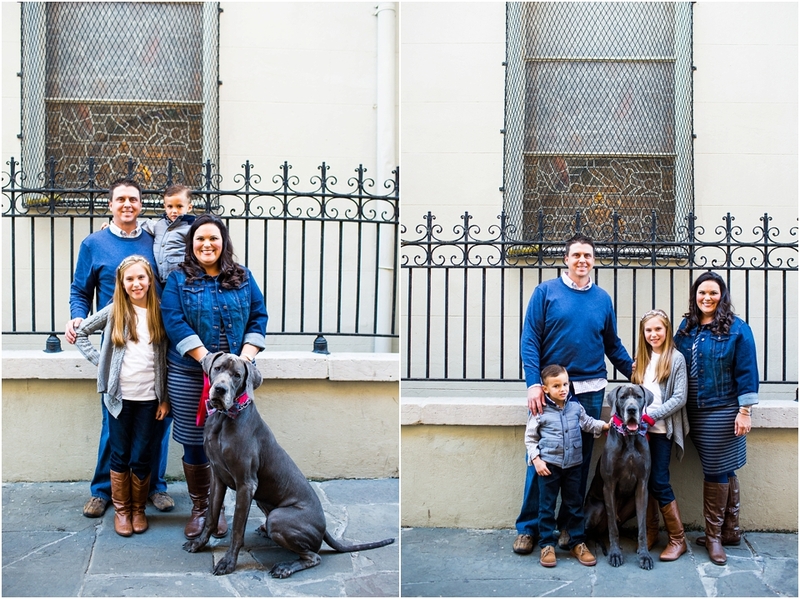 We met in the French Quarter in downtown New Orleans along with their adorable 4 legged baby…who got wayyyy more attention in the crowds than any of us combined! He is such a sweet puppy and who couldn’t adore him with that adorable bow-tie to match the family! Way to go mom….love it! 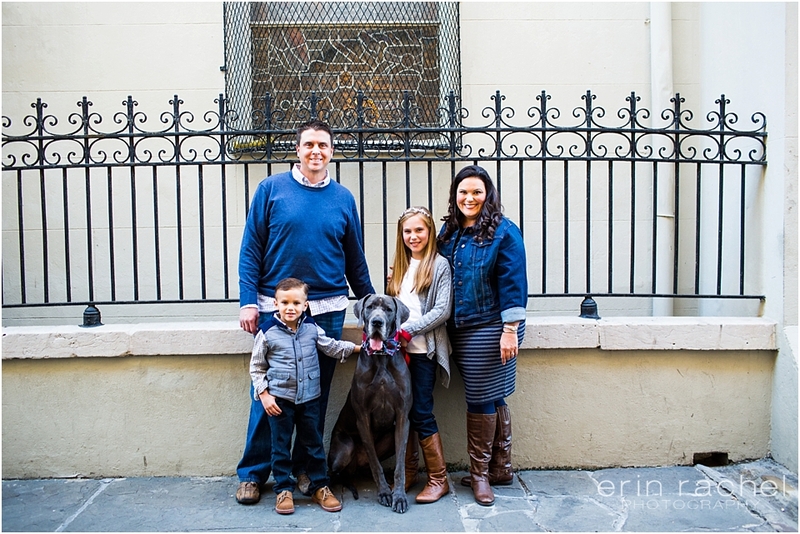 As we wandered the streets of the French Quarter I loved the spots we chose for their mini session!